Coconut Oil & Honey Mixture – Powerful Remedy That Will Stop Cough Instantly. A cough serves a very specific purpose: to clear the large passages from secretions, irritant, microbes, and foreign particles. Without this natural reflex, our bodies would be the victims to a number of airborne diseases and, especially in the increasingly toxic environment we live in, coughs help protect us against deadly particles in our environment. But let’s be real. Coughs are annoying and can become painful if chronic. Although the body is doing us a favor, sometimes it’s not enough to wait it out. Treatment of a cough should target the cause but sometimes the body needs time for even the best holistic remedies to heal and an irritating cough can persist. Did you know that some cough lozenges act as a delivery system for medications that you may not even need? Some over the counter cough lozenges contain ingredients which chemically reduce congestion and are known to have a direct effect on heart rate. Yikes! Dextromethorphan, pseudoephedrine hydrochloride, and ephedrine suppress cough symptoms but at a cost. These chemicals are known to interact with other medications and have serious side effects. So what alternatives are there for soothing and calming all types of irritating coughs? Check out this all natural cough drop that not only tastes great and is good for you, but contains ingredients which are known to boost immune function and speed up recovery time. Whip the coconut oil until it is nice and frothy. 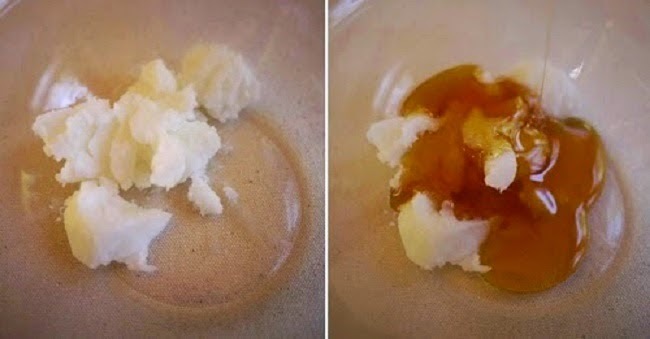 Slowly incorporate honey to form a full and thick paste. Add your cinnamon (feel free to use your own tastes as a guide, I personally prefer 1/2 teaspoon for an added kick). Pour the mixture into empty ice cube trays and put them in the freezer for 30 minutes. Store them in a glass mason jar in the fridge for up to 2 months. Don’t forget you can use these daily as a preventative measure! The lauric acid content in coconut oil kills off bad bacteria, fungi, and viruses helping to stave off future infections. Similar to coconut oil, raw organic honey has powerful antiviral, antibacterial, and anti-fungal properties which, aside from its soothing texture, can help you fight colds even before they fight you! Raw organic honey can also cleanse your liver, promote intestinal health, and reduce inflammation in the respiratory system which will help you breathe better when suffering with a cold. I really could go on about all the great ways using this cough lozenge can benefit your overall health, but I won’t. What I will do is encourage you to check out this post about coconut oil and this one about the health benefits of honey. Skip the store and reach for your kitchen pantry in defence of your next cough.